Happy April. This month, the Sweet Romance Authors decided we should reintroduce ourselves on the blog. We have new authors, and no doubt, new followers. I thought a fun way to do this re-intro would be to interview… myself. Kristin: How about we start with some personal stuff? 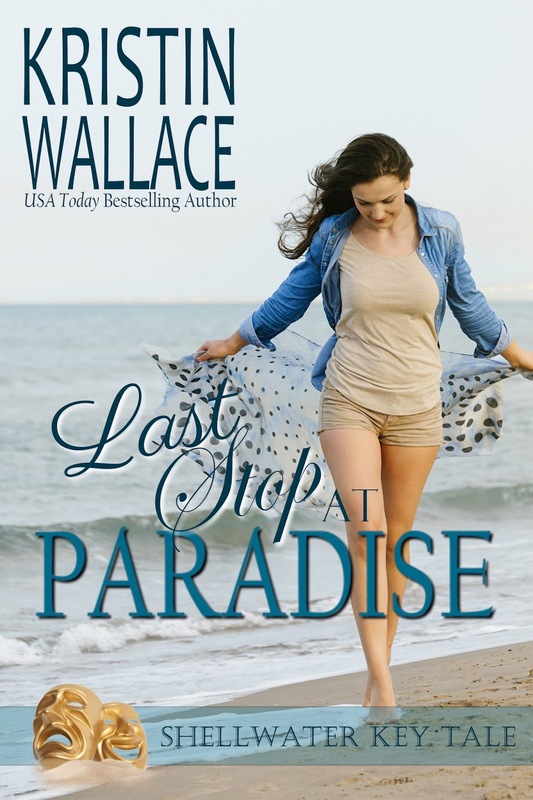 Kristin the Author: I’m Kristin Wallace and I live in sunny Miami, Florida. I have a BA in Theatre from Florida State University, and a Masters in Advertising Copywriting from Miami Ad School. Copywriting has been my “day job” for over 16 years. I’ve worked on accounts like the Miami Marlins, Sir Pizza, Sea World, Discovery Networks, The Peabody Hotel, and several hospitals. When I’m not working on a book or an advertising project, I sing in my church choir and play the flute in a community orchestra. I've also rediscovered my acting roots, appearing in two plays in the past year with a Community Dinner Theatre at my church. I am a member of Romance Writers of America and my local chapter, Florida Romance Writers of which I was the president (twice). Kristin: Can you tell us a little about what you write? 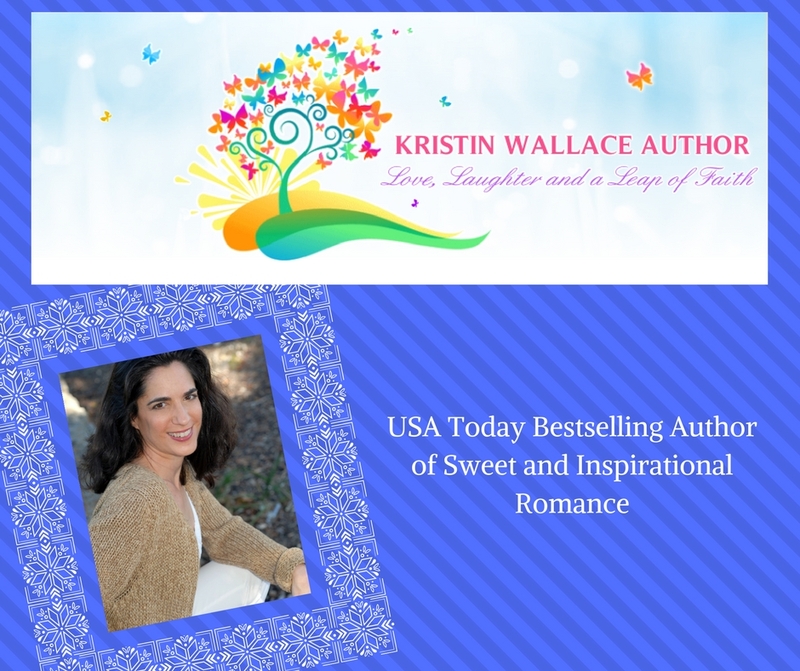 Kristin the Author: I am a USA Today Bestselling Author and I write inspirational romance and sweet contemporary romance filled with “Love, Laughter and a Leap of Faith”. I have to include lots of humor in my books so you’ll find great, snarky heroines with lots of sass. I have drama and some tears, too, but I just can’t do 300+ pages of angst. I also love writing stories with positive messages of healing, forgiveness and a forever love. Sometimes that love is spiritual in nature, and sometimes it’s that one special person. Kristin: What have you written so far? How many books do you have published? Kristin the Author: I am set to publish my TENTH novel THIS MONTH! I have two series going right now. Covington Falls Chronicles is my inspirational series. These are funny, sweet & poignant tales set in a fictional Southern town with a character all it’s own. The other series is Shellwater Key Tales, a contemporary romance set in a fictional town in my home state of Florida. Kristin: When did you first know you wanted to be a writer? Kristin the Author: I had the great epiphany that I was supposed to be a writer when I was about 25. I had always been a voracious reader, and had dabbled with writing, but suddenly I knew it was what I had to do. Unfortunately, I had no idea what to do so I got nowhere. I ended up putting the writing aside to go back to school (to study copywriting). I graduated and worked for several years before realizing the writing bug hadn’t gone away. 10 years had gone by at this point, and I figured if it hadn’t gone away after all that time, I must be a sign. I tried again…and in 2013 I published my first book, MARRY ME. Kristin: You said you were a voracious reader…what were your favorite books? And who are your favorite authors now? Kristin the Author: I devoured books. The Little House series, Encyclopedia Brown, Nancy Drew, Judy Blume, the Chronicles of Narnia. Later, I started reading the Sweet Valley High books. Eventually, I discovered romance novels and it was a true love affair. As for books I like now…Just like I write with lots of humor, I love to read humor. I adore Susan Elizabeth Phillips, Kristan Higgans, Jill Shalvis, and Rachel Gibson. I’m also a big fan of historical romance and I love Julia Quinn, Loretta Chase, Julie Anne Long, and Sarah MacLean. Kristin: What are you working on right now? 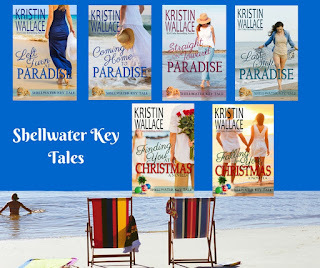 Kristin the Author: This month will see the release of Book 3 in the Shellwater Key Tales, LAST STOP AT PARADISE. I’m also working on a completely new contemporary series that is also set in Florida. It’s about an heiress who dies and leaves her fortune to her pet pig, Matilda. She chooses three women who are the descendants of the family to compete for custody of the pig (and the money, of course). Right now I’m calling the series, The Heiress Games. Kristin: How can we find out more about your books? And how can people connect with you? Sign up for my newsletter and get a Free Novella! Very fun and informative "interview," Kristin. Thanks for sharing and best wishes on your newest release! It was great to get to know a little more about you, Kristin! Congratulations on your upcoming new release!